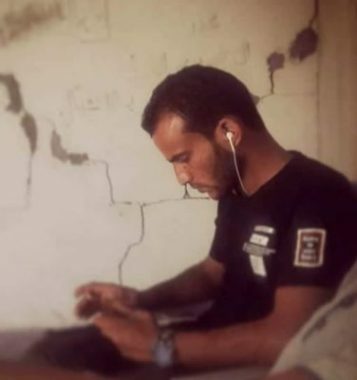 Dr. Ashraf al-Qedra, the spokesperson of the Palestinian Health Ministry has confirmed that the Palestinian, Naseem Marwan al-‘Amour, 20, from Rafah, has died from his serious wounds. Israeli forces stationed along the barbed-wire fence that separates between Gaza and Israel fired at least two missiles targeting a location between the cities of Rafah and Khan Younis, killing two Palestinians, identified as Hussein Samir al-‘Amour, 22, and Abdul-Halim Abdul-Karim an-Naqa, 29. The site was completely destroyed. The Al-Quds Brigades, the armed wing of the Islamic Jihad, said the three are member of the group. In related news, the soldiers shot, on Sunday evening, three young Palestinian lands, near the fence east of the Zeitoun neighborhood, southeast of Gaza city. They were rushed to the Shifa Hospital, suffering moderate wounds.